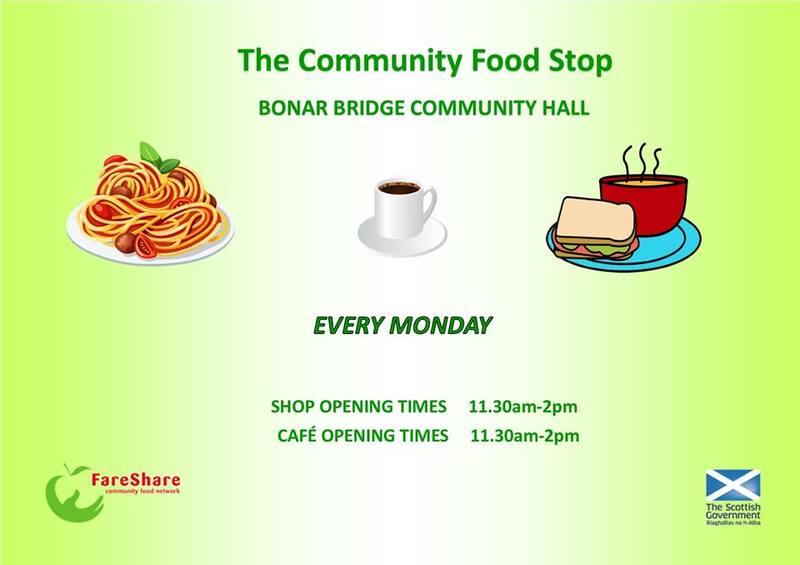 Run by the Kyle of Sutherland Development Trust (KOSDT), the Community Food Stop (CFS) is a weekly café providing a three-course lunch or a snack, payable by donation. CFS was set up for two purposes: to address social isolation, and provide a dignified response to food insecurity. Its work is funded through the Scottish Government’s Fair Food Transformation Fund. CFS started in November 2016 and now has an average of 55 customers each week during the 2.5 hours it runs. It was always intended that the café would be run by volunteers, but recruiting these wasn’t as easy as hoped (advertising and using social media didn’t work). The first lunch was run by Beverley, who is the project manager and only member of paid staff, and her line manager, with support from board members of KOSDT. It attracted 11 customers. As the customer numbers increased, some began to ask Beverley about volunteering. Through their contacts, more volunteers were recruited: CFS now has 10 active and 9 ex-volunteers. What outcomes did they look at? Beverley and Amanda (CFS’s volunteer cook) decided to focus the self-evaluation on outcomes for volunteers. When the café started, other outcomes (around the café’s purposes) were thought to be more important. But, recognising that CFS couldn’t run without volunteers, as well as the amount of work that they were committing to the café, Beverley decided to find out why they volunteered, and what they had gained from this. She was also interested to find out why past volunteers no longer helped out at the café. What evaluation activities did they use? Beverley compiled an evaluation form, which she completed with ten current and former volunteers, face to face. The conversations explored if their volunteering (and what it provided e.g. training) had led to other things, such as paid employment, or other social benefits they felt they had obtained. Of the ten, 4 had taken part in training, and one had obtained employment (her volunteering had helped her get the job). Another former volunteer was now employed, in two part-time jobs. One volunteer said they had lost weight. Former volunteers had nothing negative to say about their time with the Community Food Stop. All said they would consider coming back to CFS: some were taking part again, as customers. What else have they found? Customer feedback about the meals provided is very positive: the volunteers feel valued because they are receiving this directly from the customers. CFS held a ‘Come dine with me’ event to bring together all present and past volunteers. There was a total of 13 past and present volunteers at the event. Everyone brought a dish for the meal, to share. Beverley included some team building games, and used the event as an opportunity to observe if the volunteers appeared more confident and were able to work together as a team, as they’d reported in their conversations with her. Visual observation confirmed the positive impact, as reported by volunteers, that volunteering had brought to them. A former volunteer, who was present at the event, began volunteering again at the café, on the Monday following the event. What was key for the Community Stop? Thanking the volunteers every week. Beverley lacks capacity to hold formal supervision sessions with volunteers, but wants to ensure that they feel their contribution is valued. Being open and honest with the volunteers in the conversations, and ensuring their responses would be confidential, meant that the volunteers were comfortable to say what they felt. Giving volunteers the autonomy to help shape and deliver the project has, in Beverley’s opinion been crucial to volunteer retention.